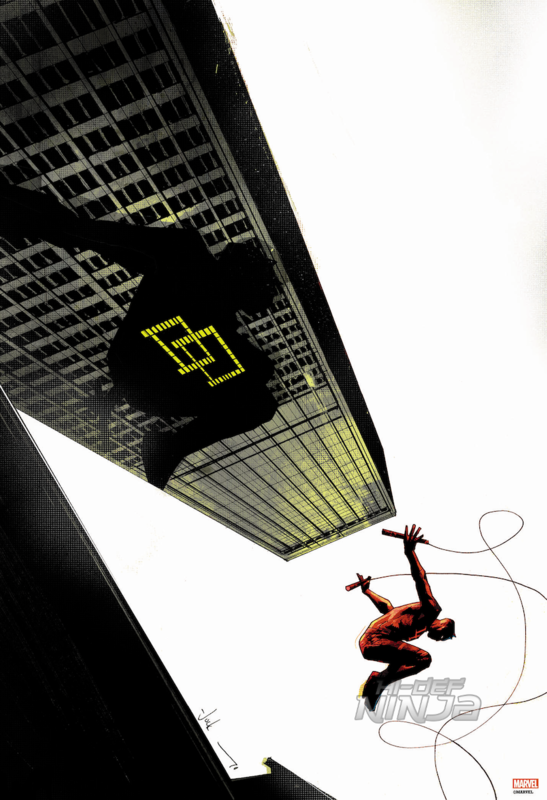 Grey Matter Art, under license from Marvel, are very proud to announce a new officially licensed, limited edition fine art print for one of our favorite Marvel heroes, Daredevil, by Eisner Award-winning artist, Jock! GMA are delighted to be working with Jock for the first time and adopt his Daredevil: Reborn #4 (2010) comic cover into a 13×19 fine art print for poster collectors. Daredevil, aptly named “The Man Without Fear” was created in 1964 by writer/editor Stan Lee and artist, Bill Everett with some assistance from Jack Kirby. This is our second release in our line of Marvel’s fine art collectibles, so be sure to follow us for more announcements in 2019! Daredevil: Reborn #4 goes on sale this Wednesday, January 30th at 1PM (est) on Grey Matter Art’s website. Below are details regarding the poster and release information. This will be released today and on sale now around 1PM EST on Grey Matter Art’s website. Below are details regarding the poster and release information.